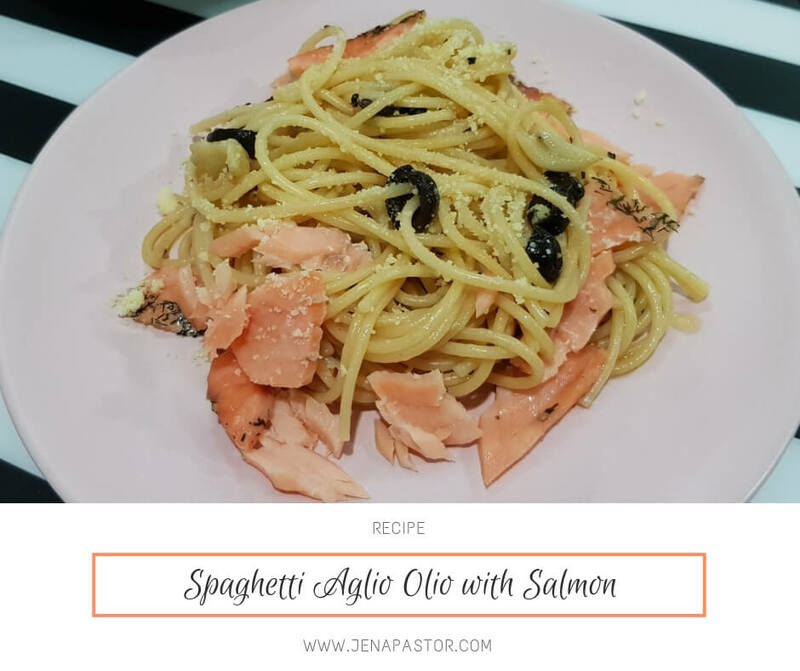 Spaghetti Aglio Olio is one of the easiest pasta recipes you can make in your own kitchen. With garlic and olive oil as your base ingredients, making this dish is not only simple but affordable, too. This is perfect for dinner, especially when paired with a glass of white wine or moscato. In 25 minutes or less, you already have a fine meal set on the table. The key in achieving the “perfect” aglio olio is to cook the garlic just right. You don’t want to overcook or else your pasta will taste like burnt garlic. On the other hand, you don’t want your garlic undercooked because you won’t get the natural garlic flavor you’re after. I didn’t attempt to cook aglio olio pasta at home because I felt like I won’t do it properly with an electric stove. 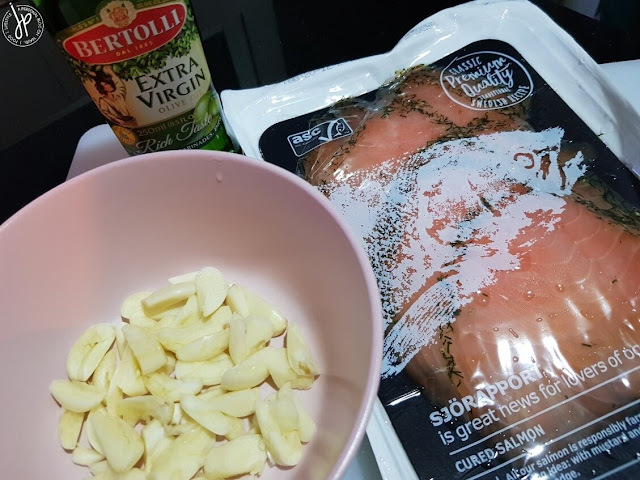 But now that I have access to a gas stove, I’m going to take advantage of preparing aglio olio pasta with thinly sliced salmon and I’ll teach you how to do it in as easy as 1, 2, 3! 1. In a cold pan, add 1 cup extra virgin olive oil and chopped garlic. Set stove to medium heat. 2. 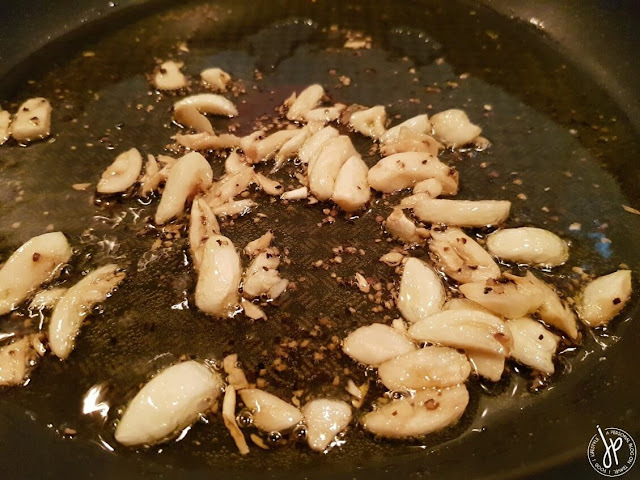 When the oil starts to sizzle, occasionally sauté the garlic. Do this for about 10 minutes until the garlic turns a bit golden brown. Avoid burning the garlic. 3. Turn the heat to medium low and add salt and ground pepper. Sauté the garlic for the next 5 minutes. 4. 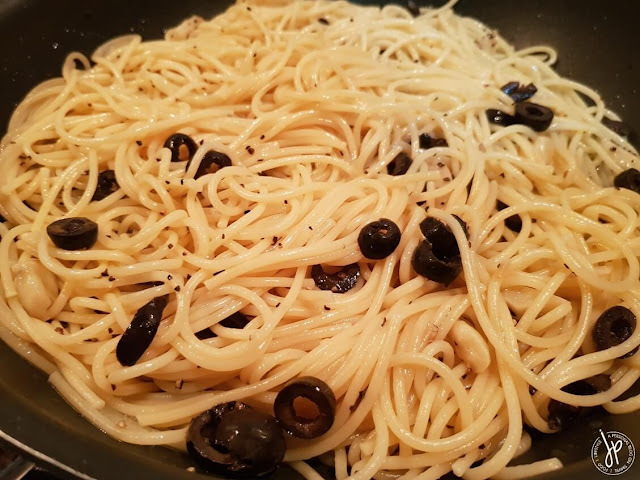 Add the olives and cooked spaghetti. Using a pair of tongs, mix your oil-based sauce until the pasta is evenly coated with aglio olio. Turn the heat off. 5. 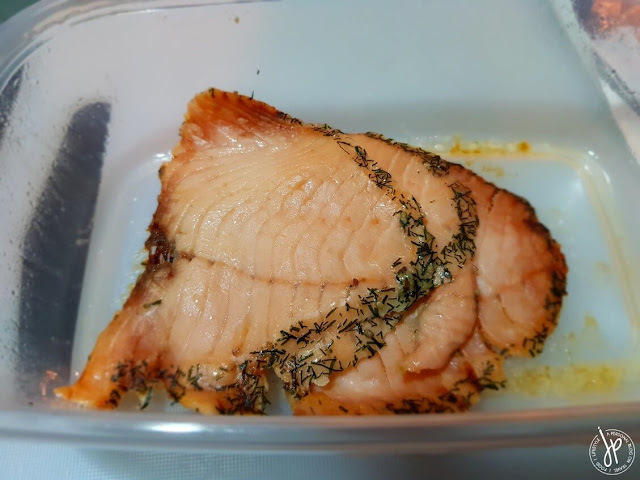 Spread the salmon in a microwave-safe plate or container. Cook the salmon inside the microwave oven for 45 seconds under medium temperature. 6. 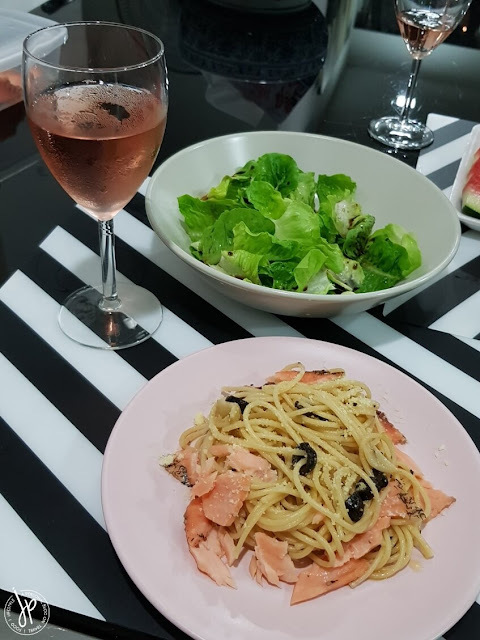 Put the spaghetti aglio olio on a plate and add the salmon. Top with Parmesan cheese. 1. To make it spicy, you may add chili flakes together with salt and ground pepper while you cook the garlic. 2. You can also opt for smoked salmon, which I believe is easier to find in the grocery.